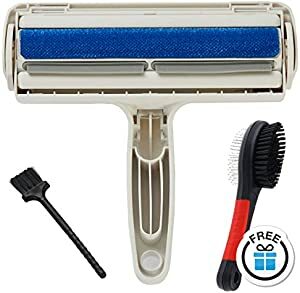 Amazon Giveaway: Loves4Pets Pet Hair Remover Lint Roller for pet Hair - Self Cleaning Dog & Cat Hair Remover - Remove Dog, Cat Hair from Furniture, Carpets, Bedding, Clothing and More. Loves4Pets Pet Hair Remover Lint Roller for pet Hair - Self Cleaning Dog & Cat Hair Remover - Remove Dog, Cat Hair from Furniture, Carpets, Bedding, Clothing and More. Ends 11/29 at 11:59 PM PST or when all prizes have been awarded.